As a kid, it was a yearly tradition for me and my mom to make all my class Valentine's Day cards. 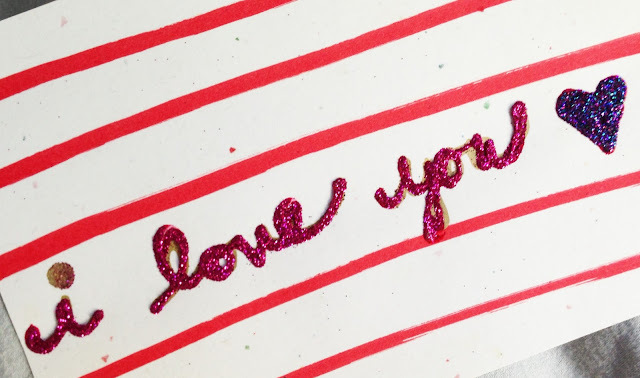 We would use pink and red construction paper, tissue paper and glitter to create unique cards for each and every student in my class. 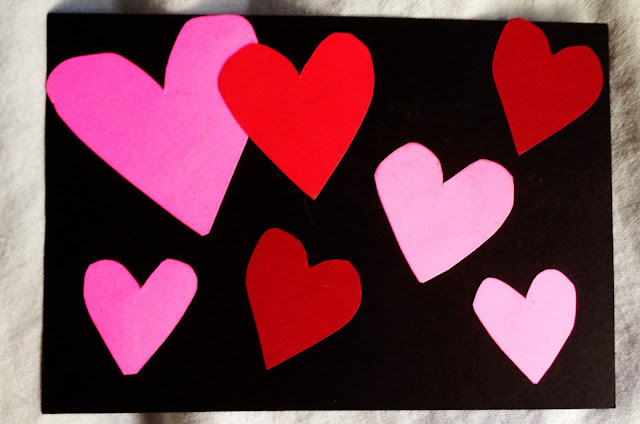 To be honest, at the time, I was pretty bummed not to be able to give out the store-bought Scooby Doo Valentine's like all the other kids; however, as I've grown older, I realize how special the tradition was and how much more meaningful it is to make Valentine's rather than buy them. My attitude now is to never buy what you can make yourself because the making is what makes it special (thanks mom...life lesson learned). 1. 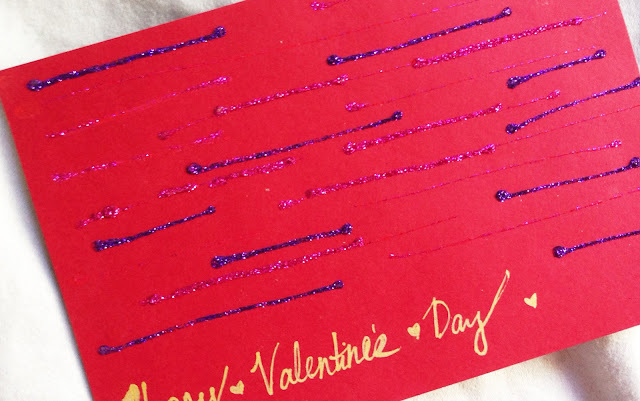 DIY Valentine's Day Stationary (inspired by Cupcakes and Cashmere): Like we discussed earlier, homemade cards are the best and I loved making these last year. 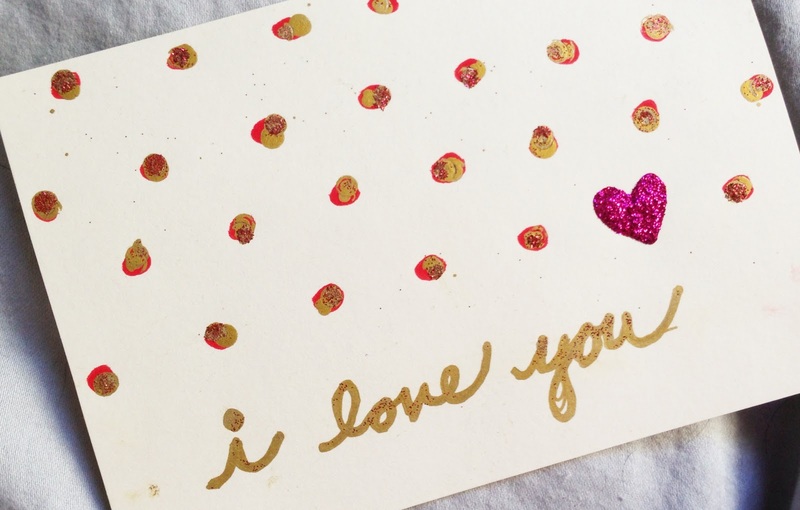 I think the gold ink and glitter are what makes these so fun and whimsical. 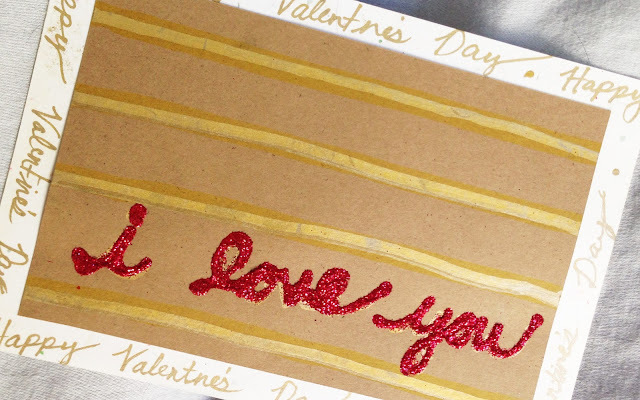 Write sweet messages on the back of favorite memories together and things you love about that person. 2. 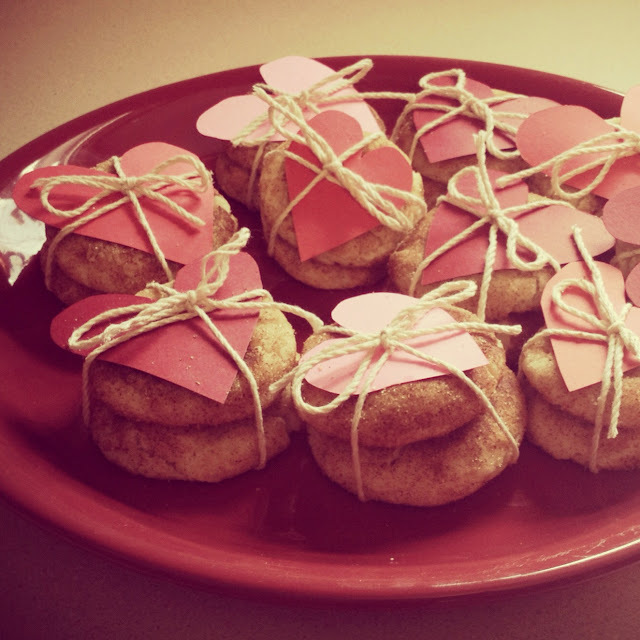 Valentine Cookie-Grams (adopted from Freutcake): This Snickerdoodle recipe is incredible. 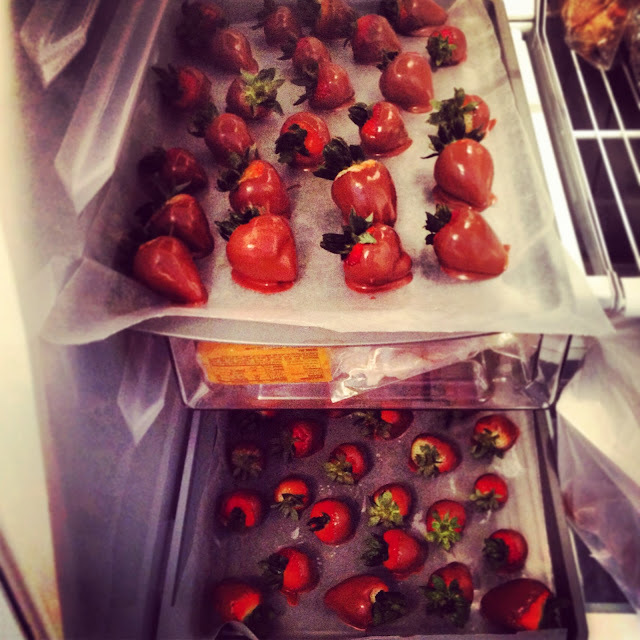 When I made them, I ate almost the entire batch just to myself! However, you could make any type of cookie and wrap it with twine and hearts and the results would look just as cute! 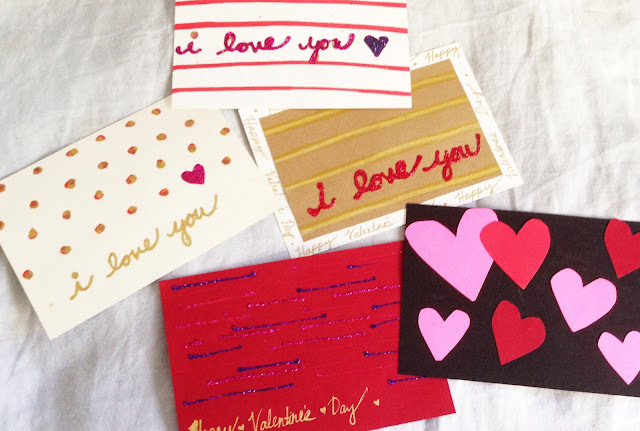 You could also write love notes on the hearts as an extra touch! 3. Chocolate Covered Strawberries (Adopted form Real Simple): To this day, chocolate covered strawberries are still a favorite treat of mine. They are insanely easy to make and your loved one/ones will love them! Try sprinkling chopped pistachios or coconut for something different!